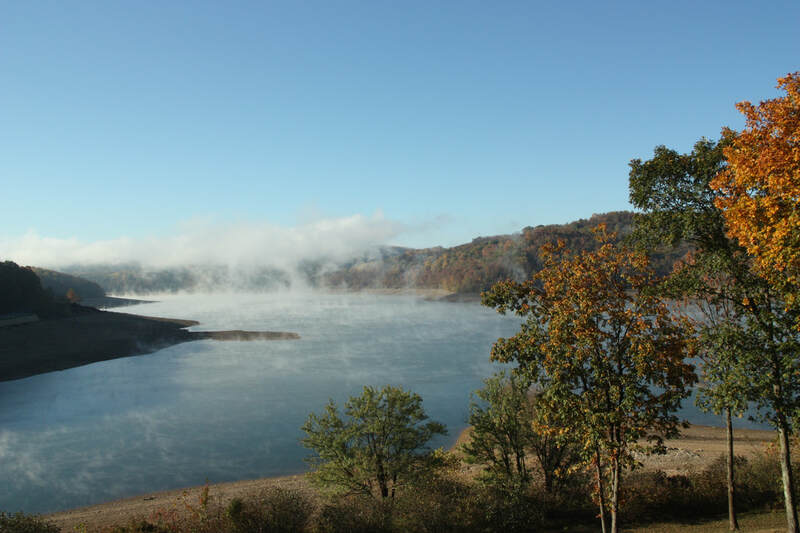 It's been two years since the BBC has visited Tygart Lake State Park. We're sure to enjoy the lodge's accommodations, the scenic lake and the beautiful fall colors, along with the field trips and evening programs. Tygart Lake State Park is located in Grafton, WV. Lodge check in can begin anytime after 3:00pm at Tygart Lake State Park Lodge on Friday Oct. 14th..
Friday Night Program - "Down The Shore" with Jeffrey Hall. Many might remember Jeffrey's interesting Northwest PA photo sojourn at the Spring meeting. This October, Jeffrey will highlight birds and natural areas along the Eastern Shore, including areas that the BBC birds on its annual trip there. Saturday Night Program - "The Parkersburg Snowy Owl and the Avian Conservation Center of Appalachia" by Dr. Jesse Fallon. Jesse grew up on a small farm in rural central Pennsylvania. He attended Penn State University for his undergraduate education where he met his wife, Katie. He went on to earn a Master’s degree in Animal and Veterinary Science from West Virginia University in 2004, and in 2008 he graduated from veterinary school at Virginia Tech with top honors. Dr. Fallon joined Cheat Lake Animal Hospital in 2009. He and Katie live in Cheat Lake with their three daughters. Dr. Fallon is Conservation Chair and West Virginia State Liaison for the Association of Avian Veterinarians (www.aav.org), and he serves as the Director of Veterinary Medicine for the Avian Conservation Center of Appalachia (www.accawv.org), a non-profit organization that rehabilitates injured wild birds. ​In addition to clinical medicine Dr. Fallon also works in the field on several avian conservation projects and is completing a PhD in Fish and Wildlife Conservation from Virginia Tech." $145.00 based on double occupancy-------$240.00 based on single occupancy. Please contact Janice Emrick for any possible late submissions. After you fill out the 2018 BBC Fall Retreat application completely you can pay by PayPal or check.